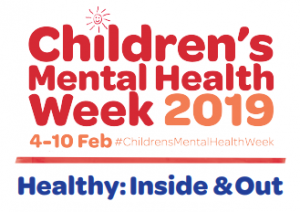 It’s Children’s Mental Health Week & this is a hugely important subject with many key factors playing a part in helping children have strong mental health and overall positive wellbeing. Children’s Mental Health – What Is It? Mental health is the way the children think or feel about themselves and the world around them. It’s related to how children cope with life’s challenges and stresses. Good mental health allows children to think clearly, develop socially and learn new skills. Also good friends, loving siblings and encouraging words from adults, are all important for helping children develop self-confidence, high self-esteem, and a healthy emotional outlook on life. A child’s physical and mental health are both equally important because a child needs good mental health to develop in a healthy way socially, emotionally, mentally and physically. Good mental health in childhood is crucially important because it also provides the foundation for better mental health and wellbeing later in life. can bounce back from tough times. Promoting good mental health for children. I think that it’s helpful to remember that children don’t have to be happy all the time. In recent years there’s a whole industry that has grown up around the pursuit of ‘Happiness’ from books, workshops and expensive courses all dedicated to the elusive state of permanent happiness. Happiness is not a permanent state of mind. It is found in moments. In memories. In experiences. In the present. Of course, we all want our children to grow up safe, secure, surrounded by love and nurtured. Of course, we want them to be happy & grounded in self-confidence, resilience and liking & respecting themselves for just being their unique self. Ask most people what makes children happy and they would say unconditional love. Love of course is the big one, along with time, but then there are everyday little things that can also make a child’s life secure, stable, happy & grounded in connection. Here are some basics that I think are worth keeping in mind. Eating together helps a family stay connected – don’t just nag about eating the broccoli or holding the knife and fork properly. Chat, laugh, share and be involved in each other’s lives through simply committing to sitting down at a table and sharing a meal regularly. You’ll know what’s worrying them, what’s exciting them, what’s going well, or not so well, and they will be able to express all their ups and downs in a safe place just by eating with you regularly. Playing with children regardless of their age makes them feel important. Whether it is kicking a ball around in the garden to a board game when they are teenagers – playing creates memories that last a lifetime. It’s a place to let off steam, to have fun and relax. Really listen! Free from mobile phones or doing something else at the same time. Stop. Look at your children, turn your heart towards their heart and listen without trying to fix everything. Children, like adults need to learn to deal with strong emotions and feelings of sadness, anger, frustration, loss, jealousy, envy & disappointment … all those “negative” emotions that we all experience. That’s how they become resilient to the ups and downs of life they will inevitably face. By simply allowing the space for them to express their emotions, free from judgement, you are creating a child who feels heard and therefore understood and loved. This is not about teaching them it’s OK to have screaming tantrums at the supermarket checkout. It’s about giving them more appropriate ways to express their feelings so they can gradually develop emotional intelligence and learn emotional regulation for themselves. We all know what it’s like to feel like you are ‘running on empty’ so make sure that your children get a good night’s sleep. It affects their mood, their ability to concentrate, and their wellbeing. The consequences of poor sleep patterns in older children go well beyond mood, to affect behaviour, attention, learning and memory. It can bring on depression, anxiety and low feelings of self-worth. Like irregular or poor eating patterns, lack of sleep can impact on your child’s performance and behaviour at school. Having a set bedtime encourages children to understand that sleep is really important. Getting outdoors on a regular basis can improve your child’s health and wellbeing as fresh air is good for your child’s digestive system, blood pressure, heart rate & immune system. Fresh air makes your child happier as the more fresh air they breathe in the more serotonin (the happy hormone) they inhale, consequently making them happier. Fresh air gives your child more energy and a sharper mind. Nature has uplifting powers for people of all ages, but children especially love the feeling of freedom and open space which builds their resistance to stress and depression. Getting outside is the ultimate antidote to devices. Exercise releases endorphins which trigger positive feelings in the body. Exercise also builds healthy bodies preventing chronic disease. It develops muscle strength, cultivates a healthy heart and lungs, keeps bones strong & decreases body fat. It also reduces symptoms of depression and anxiety & increases concentration and alertness, whilst boosting energy levels & controlling mood swings. So, riding bikes, jumping on trampolines and playing ‘It’ in the garden builds a healthy body as well as a healthy mind. Early childhood is a really important time to establish healthy eating habits. A balanced diet is key to health because it provides children with the nutrients, they need to grow. Many children and families today have busy schedules & this makes it hard to sit down to homemade meals every day & many children’s diets involve a lot of convenience foods and takeaways. But these foods can be unhealthy as they are bursting with sugar and preservatives which can have a negative effect on your child’s physical and mental health. So, plan meals in advance, cook fresh meals and encourage your child to enjoy a wide range of fruit and vegetables. Just hug your kids and tell them that you love them – that builds their build self-esteem, resilience and wellbeing. This simple display of love helps build children’s resilience and sense of belonging, both of which are key for promoting health and wellness throughout the years. Research has even shown the power of hugs to protect against illness and stress. Spending uninterrupted time with your child. Simply being with your child can promote positive mental health. Children spell love – T-I-M-E so enrich your children’s daily routines by sharing looks, smiles, conversations, and stories. Recognise your children’s efforts and progress in everything they do from walking, talking, or reading to playing a musical instrument. It’s not all about achievements it’s all about the effort they put in as this helps children learn how to take pride in their own achievements. There has been a great deal of discussion in the news about teenager’s mental health and screen time. Many studies show a correlation to depression, feelings of isolation & anxiety in young people & there have been several studies that suggest higher levels of screen use in children and adolescents is associated with reduced physical activity, increased risk of depression, and lower wellbeing. Studies seem to indicate that it’s about how children interact with media, as well as the type of media they use, and how long they use it for, as this may all influence mental health and wellbeing in slightly different ways. Trust your intuition, be confident to instil your rules and spend time doing enjoyable real activities with your teenagers so you are the antidote to too much screen time. ‘Talk & Teach’ your kids to talk openly about their mental health and read books to help children understand about mental illness. Up and Down the Worry Hill by Aureen Pinto Wagner, Ph.D.
It’s normal for children to have ups and downs that can affect the way they feel and behave. But sometimes children don’t ‘bounce back’, and the difficulties they’re facing can start to affect other aspects of their lives. If you notice any of the following signs, and the signs go on for more than a few weeks, it’s important to talk with your child and get professional help. has trouble paying attention, can’t sit still or is restless. says they have physical pain – for example, headaches, stomach aches, nausea or other physical pains that don’t have a clear medical cause. Getting help for your child’s mental health difficulties. If the changes in your child’s mood or behaviour last for more than a few weeks, are distressing them and affecting their ability to get on with everyday activities and enjoy life, get professional help as soon as possible. your local mental health service. Children with good mental health have the following characteristics. so look for ways to develop them in your family. More tips and ideas for children. Frustrated, annoyed or worried about something? Check out ChildLine’s online graffiti wall. Explore Cam’s Den to learn more about feelings – in this fun activity, rub a crayon to reveal a special message. Have a look at CBeebies for an interactive game exploring Tamba’s different emotions. Beat Bullying have some great tips about staying safe and how to deal with bullying. The sky’s the limit! Play ChildLine’s fun game about not letting sad feelings weigh you down. Make sure you stay safe online – check out the Thinkuknow guide to internet safety. The post What Every Child Needs for Good Mental Health. appeared first on Sue Atkins The Parenting Coach.